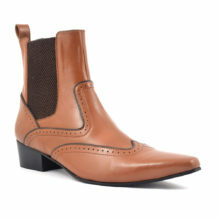 A very cool cuban heel boot reminiscent of the 60s and 70s. 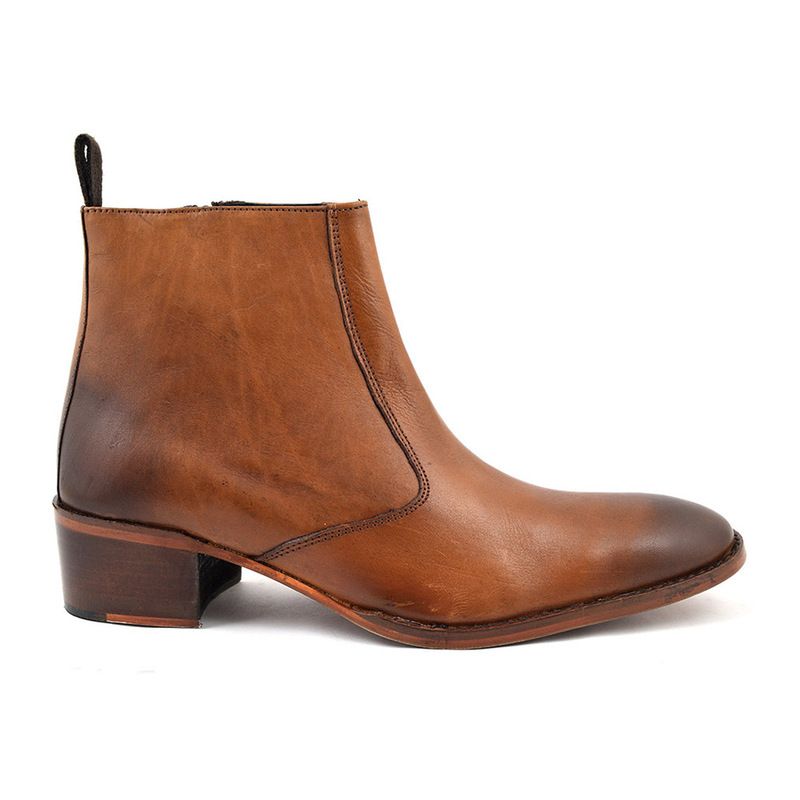 The leather is a tan brown turning into a darker brown at the toe and the heel. 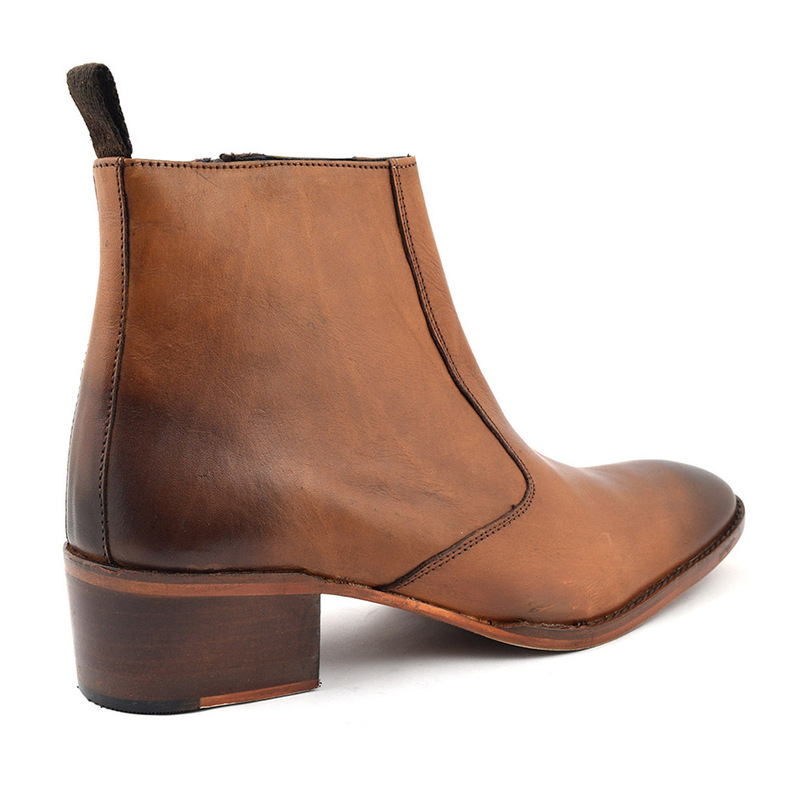 The unique aspect of this boot is the heel which is 5cm high. The fastening is with a zip, there is a tab at the back and outer stitching on the outsole. Express yourselves in these fabulous heeled boots for men which have a rock and roll feel. A lovely pair of tan cuban heel boots and yes you guessed it: the fact Paul and Beatle are in the title is no coincidence. 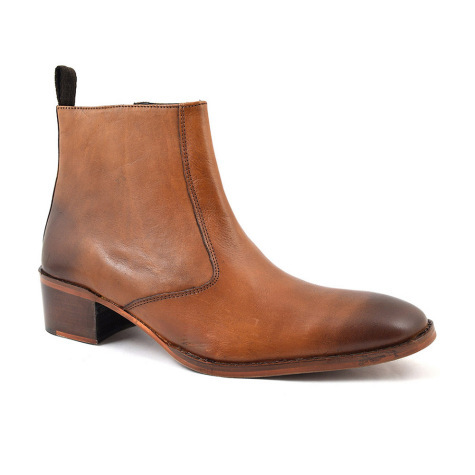 It was the era of the 60s when mens cuban heel boots took off but we can go back so much further when it comes to mens heels. In Persia in the 9th century, there is evidence of men wearing high heels particularly when they rode their horses into battle. The heels gave them purchase which has continued over time. Take, for example the cowboy boot. Over the centuries men wore heels and they became a status symbol: the higher the heel, the more affluent you were considered. Take Louis XIV and how he loved a heeled shoe as an example. Women then took the mantle of the heel in the 1600s and they went in and out of fashion for men until the swinging 60s. 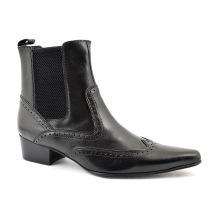 The sleek silhouette of the time included chelsea boots worn by many frequenting the Kings Road and emulating rock stars of the day. The Beatles loved this look and added the higher heel known as a cuban heel because of its links with Spanish dance. One could say that there is a certain power and authority in a high heel. 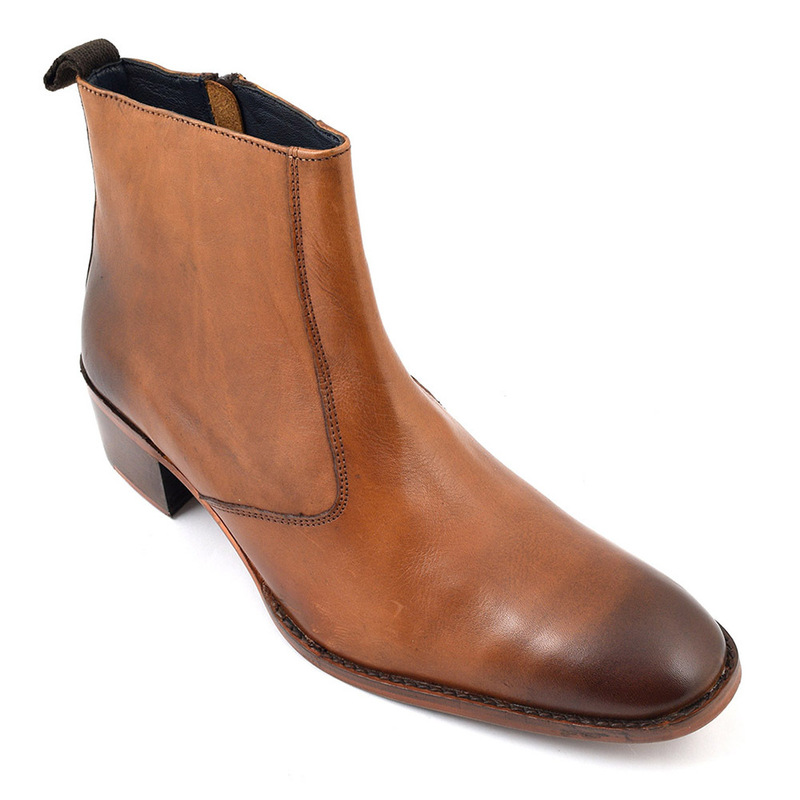 This zip up cuban heel beatle boot is a caramel tan which bleeds into a darker brown. It is quite a high boot in many ways as it is sits above the ankle. Of course, the main feature is the heel which is a decent height but is a block heel so easy to walk in. Designer tan cuban heel boots for the cool original man. Be the first to review “Paul Tan Heel Beatle Boot” Click here to cancel reply.